The future of liposuction, a brand new laser called Zerona. It zaps away fat without the bruising, scars or downtime. The miracle procedure to fight fat without undergoing the knife. The Zerona laser achieves what we consider to be the holy grail of plastic surgery. The Zerona is a cool touch laser that is used on the outside of the skin to melt fat. It’s so freaky, this can’t work, but after 12 treatments in a month last summer, I lost 11 inches from my waist, thighs and hips and I have maintained my new figure since then. Based on the way I wanted my body to look, my doctor recommended 10 Zerona sessions. Within those 10 sessions I lost 16.25 inches of fat; 5 came from my abs. After only 6 sessions with the Zerona last, I was able to lose 4.6 inches of total fat. What I was most excited about, was the 1.6 inches I was able to lose in my abs. In 9 Zerona sessions, I lost 3.9 inches of fat. 2.5 being from my hips and thighs, I was so excited with the results. I think Zerona is a wonderful enhancement in the “quest” to lose inches and pounds. It’s very relaxing, you feel nothing and you lose inches as long as one follows the “rules” (which I did). I see a difference in my stomach, waist, hips and thighs…also much less “back fat.” I have recommended this to my friends. They like my results and will try it in the future. Zerona has totally changed my life. Not only have I lost 12.5 inches in body measurements, but I’ve made changes in my diet and exercise program since, which has enabled me to continue slimming. None of this would have been possible without my Zerona treatments. Thank you for helping me get back to the body I had before I had 4 children. I’ve always been concerned about my changing shape as I was getting older. I was starting to go through menopause, I always followed a balanced diet and exercise regularly, but it wasn’t enough. I decided to try Zerona. After 6 treatments, I was down 5 inches. I came back a week later and my results were staggering. I lost a total of 10.5 inches! I am a single mom of two that exercises and eats right, but after my last c-section I wasn’t able to get rid of my tummy bulge. The treatments were a time to relax and enjoy “me time”. 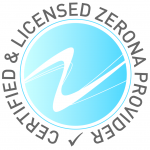 All in all, the Zerona experience was affordable, convenient, and I did not have to take time off from work. I am so happy with the Zerona treatment. My body has been totally transformed. It is better than it ever was even before children. I lost my hips and my thighs are thin. For the first time in my life, I am completely happy with my body. I know this outcome was directly from the Zerona treatment because it is the only thing different than what I have done for years and years.